We deeply appreciate your interest in learning more about Mind-Body Medicine, an evidence-based, scientific approach to healing and self-directed health care. I think you will find it quite fascinating to learn more about how your system works, and what you can do to improve its functioning and create balance, healing, peace, and happiness in your body, mind, spirit, and soul. Below you will find brief introductions to each of the articles in this Mind-Body Medicine section of the Learning Center. Please click on the title or the ‘Read More…’ link to read whichever whole article you wish! After reading, you can always return here by clicking on the “Back” button in your browser, or by choosing the “About Mind-Body Medicine” page in the left sidebar navigation! Links to all available documents can be found in the Mind-Body Medicine section of the menu-bar to your left. 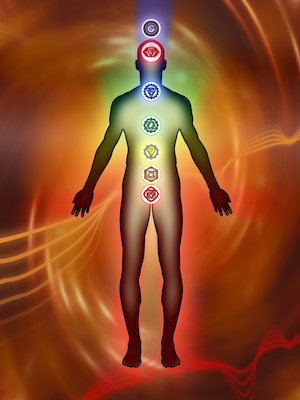 Learn About The Mind Body Connection. Mind-Body Medicine recognizes the incredible potential that can be realized by joining the power of these two approaches, and offers a perspective on human health that recognizes the power of emotional intelligence, critical thinking, physical conditioning (e.g., diet, exercise), and spiritual awareness. Unlike mainstream medicine, the Mind-Body healing approach is evidence-based. Study after study demonstrates that stress, relationship, and emotional state are by far the most reliable predictors of whether a person will heal rapidly – and whether they will get sick in the first place. Yet mainstream medicine is just coming into awareness of this and of how shortsighted it has been. Clearly, the use of non-ordinary states of consciousness such as meditation, prayer, deep relaxation, and trance are of great value in the practice of the mind-body approach. As one of those who re-introduced Mind-Body approaches into Western medicine in the 1960s, Dr. Miller’s particular fascination was with the ability of the mind to enter certain altered states of consciousness which facilitate cellular change. But affecting this cellular change requires learning to think according to a new paradigm of relaxed, here-and-now, thoughts and beliefs which require quite a bit of training for most folks raised in our culture. “In my practice I teach people to enter this healing state, and then provide suggestions that would guide them back to health and wellness. I find that if people take home a recording of my voice, they can practice with it, thus training their brains much more efficiently and quickly. Some of this research is the type done under controlled conditions in the laboratory; this type shows how our thoughts and emotions impact the physiology of our bodies. Research on clinical populations collects health data from large groups of patients, evaluating how certain ways of thinking, feeling, and interacting cause health or disease. Likewise this research demonstrates the effectiveness of the Mind Tools presented here at DrMiller.com.